Who doesn’t like chocolate? Chocolate is a number one favorite food in this world. Everybody loves chocolate. Why? Because chocolate represent sweetness and sweetness lead to romantic. So women crazy about chocolate and men always buy it to impress their women. Chocolate also become the symbol of valentine, beside the heart and flower of course. But chocolate is also one of the most important ingredients in most of pastry recipes. But not only that, don’t you know that chocolate also could give a health benefits? 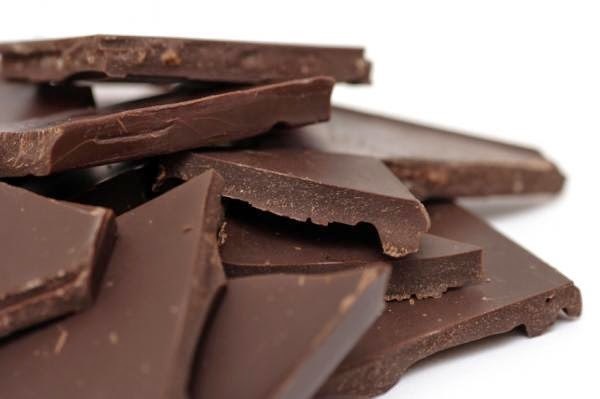 Well if you read this article until the end you will know the dark chocolate health benefits. Yeah I’m going to give the info about the dark chocolate. Why? Because the dark chocolate is the real form of chocolate before it was added with milk or sugar to make the milk chocolate and the other form of chocolate. Studies found that dark chocolate is full of nutrition that can improve your health and decrease the risk of heart disease. Dark chocolate was made from the seed of cocoa tree and it is also one of the best antioxidant in the planet. It also contain proper amount of fiber that loaded with mineral. From 100 gram of dark chocolate bar with 85% cocoa contain you’ll get 11 gram fibers and a lot of potassium, phosphorus, zinc and selenium and also a proper amount of RDA for iron, magnesium, cooper, and manganese. The antioxidant activity of your food is measured by ORAC or known as Oxygen Radical Absorbance Capacity. The dark chocolate contain a lot of organic compounds that are active biologically and function as antioxidants. The organic compounds in dark chocolate include polyphenols, flavanols, catechins, etc. The other dark chocolate health benefit is to lower the blood pressure by improving the blood flow. This is happened because of the flavanols contain in dark chocolate that can stimulate the endothelium to produce NO. It has been known through research that dark chocolate can improve blood flow to the brain because the cocoa contain stimulate substances such as the theobromine and the famous caffeine. But the improvement of the brain function only in short term. This is the best benefit from dark chocolate health benefits. Since we all know the heart disease is a number one killer in the world. As we know earlier that dark chocolate is a high antioxidant. That’s mean the dark chocolate is highly protective against the oxidation of LDL which cause less cholesterol enter the arteries so it would lower the risk of a heart disease. After reading this article you might want to eat chocolate but it doesn’t mean you have to eat a lot of chocolate just a proper amount of it. And be sure to eat the dark chocolate rather than any type of chocolate such as milk chocolate or white chocolate. 0 comments for "Dark Chocolate and the Benefits for Your Health"